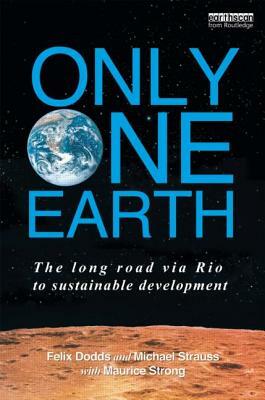 Forty years after the United Nations Conference on the Human Environment in Stockholm, the goal of sustainable development continues via the Rio+20 conference in 2012. This book will enable a broad readership to understand what has been achieved in the past forty years and what hasn’t. It shows the continuing threat of our present way of living to the planet. It looks to the challenges that we face twenty years from the United Nations Conference on Environment and Development, “The Earth Summit,” in Rio, in particular in the areas of economics and governance and the role of stakeholders. It puts forward a set of recommendations that the international community must address now and in the the future. It reminds us of the planetary boundaries we must all live within and and what needs to be addressed in the next twenty years for democracy, equity and fairness to survive. Finally it proposes through the survival agenda a bare minimum of what needs to be done, arguing for a series of absolute minimum policy changes we need to move forward.